Harry Potter and the Deathly Hallows by JK Rowling. 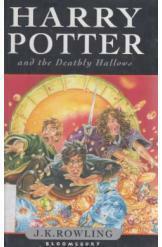 This is the 7th book of the epic tale of Harry Potter. Thirty six chapters of suspense.